The Keep 1983 Review The film opens up with the German Army traveling to a remote village to guard the Dinu Pass from an ancient keep. While there, the caretaker of the keep, Alexandru, warns Captain Woermann (Jurgen Prochnow), the leader of the army, to never let any of his men remove one of the many lver crosses embedded into the walls of the keep. However, when one soldier learns that one of the crosses is made of lver, he rips it from the wall...and gets his head ripped from his body by a supernatural entity. After several more gory murders, the Nazis are called in to asst the German Army in finding the killer. The local priest tells Major Kaempffer (Gabriel Bryne), the leader of the Nazis, that a Jewish professor named Theodore Cuza (Ian McKellan) and his daughter Eva know more about the keep than anyone else. The Nazis call them in to either asst them or die, and Theordore has an encounter with the entity (named Molasar) that's been killing their men. The entity touches Cuza, which makes him young and strong again. Meanwhile, a stranger known as Glaeken (Scott Glenn) rides into the village and seems strangely interested in what's been going on at the keep. Who are the good? Who are the bad? The answers come because tonight, they will all face the evil. 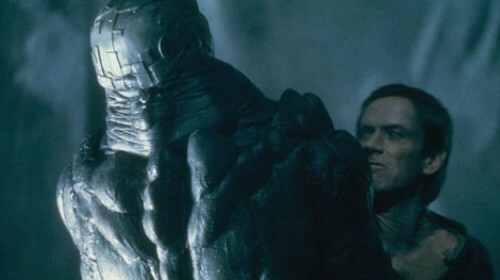 The Keep is often hard to follow, and if you don't like this movie because it's confung, blame Paramount. Director Michael Mann originally made a a three and a half hour long epic that I imagine was almost completely faithful to the novel. However, Paramount felt that no one would want to t in a movie theater that long, so what's a little key plot points and characterizations? I would love to someday see this cut, with the visual effects and muc added in. 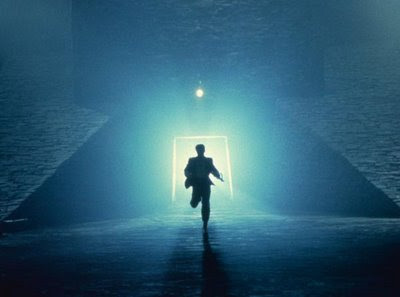 http://1.bp.blogspot.com/_lf59bCpHywU/S9ZbmxMdXXI/AAAAAAAAAzY/Pl5OxszgUAM/s1600/the+keep+scott+glenn.jpg" class="photoborder" /> The Keep could be the most visually striking feature film I have ever had the chance to witness. The cinematography is very fluid, and the visual effects are compelling even if they are a bit cheesy at times. The score by Tangerine Dream is exactly the right kind of muc you'd want to hear from this movie. It's dreamy, surreal muc that's relaxing, yet compelling. When the lush visuals meets the extravagant score, I can almost see the magic flying off the screen. The performances in The Keep are all incredibly strong, thanks in no small part to the great cast. Scott Glenn brings the right aura of mystery and heroism to his role as Glaeken, and Gabriel Bryne makes an astoundingly good Nazi. Jurgen Prochnow, who is notable for doing several war movies, is obviously great as Woermann, and his presence classes up the film. However, the real star of the show is Ian McKellan as Theodore Cuza. McKellan's acting could be the best I've seen in any horror movie to date. He makes even the lliest lines believable and I was dumb-struck by his tour de force speech at the end. Of all the films to not be released on DVD, this one probably has the highest budget of any I've seen. I think Paramount really had hope for this movie, and I can imagine how disappointed they were when it was released and was a huge flop. Still, The Keep has grown a rather strong fanbase over the years who are dying to buy it in any format (I would love to see it in Blu-Ray). Even though you can tell the Molasar monster at the end is just a guy in a rubber suit at times, the special effects are phenomenal, as is Michael Mann's directing. It's OK; has its flaws. The power of Christ compels you to stay away from this film! Death is preferable to this garbage.